Awards and commendations - PCO S.A.
On 21st of June 2016 PCO S.A. was given thediamond award in Leader of the state’s security contest for observation in cathegory Innovative Company for the State’s Security. Leader of the state’s security contest is organised by the Association of Suppliers of Uniform Services. On 21st of June 2016 PCO S.A. was given thediamond award in Leader of the state’s security contest for observation system for the NPL-1T thermal binocular. On 25th of September 2017 PCO S.A. was awarded with Ambasador Polskiej Gospodarki (Ambassador of the Polish Economy) title in Creator ot the 21st Century’s Solutions cathegory, given by Business Centre Club to companies promoting Polish economy on the international market. On 23rd of June 2016 PCO S.A. was given the diamond award in Leader of the state’s security contest for observation system for the Observation System for 120mm RAK mortar. Leader of the state’s security contest is organised by the Association of Suppliers of Uniform Services. On 7th of June 2017 PCO S.A. has become a laureate of the European Medal given by Business Centre Club. PCO S.A. was awarded for the Modernisation Set for the Thermal Imaging Camera (ZMKT). European Medal is given for products and services that fit European standards. Nominated serviece or product has do adhere to legal norms, have licenses, patents etc. Also dynamics of the Company, awards and certificatse are taken under consideration. 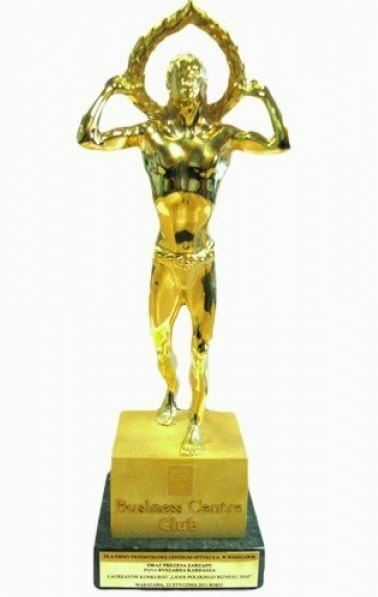 On 21st of January 2017, PCO S.A. has received 6th Diamond for the Golden Statuette of the Leader of Polish Business, a prize given by the Business Centre Club.On 21st of January 2017, PCO S.A. has received 6th Diamond for the Golden Statuette of the Leader of Polish Business, a prize given by the Business Centre Club. On 23rd of November 2016, during the formal ceremony PCO S.A. has received Laur Innowacyjności (Laurel of Innovations) prize for KLW-1 “ASTERIA“ thermal imaging camera. 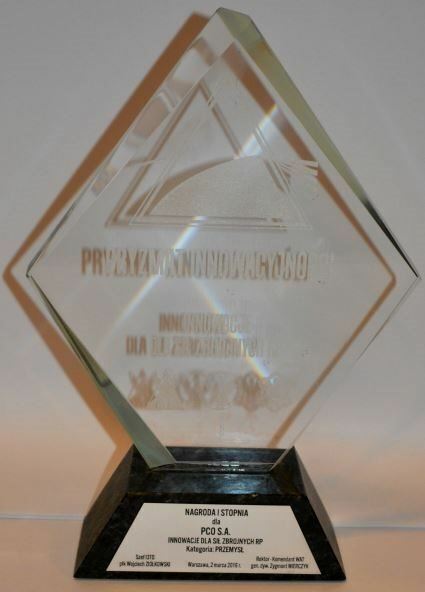 Prize is given by the Polish Federation of Engineering Associations. Prize is given to companies that produce innovative products, use modern technologies and provide cutting edge services or other innovative solutions. 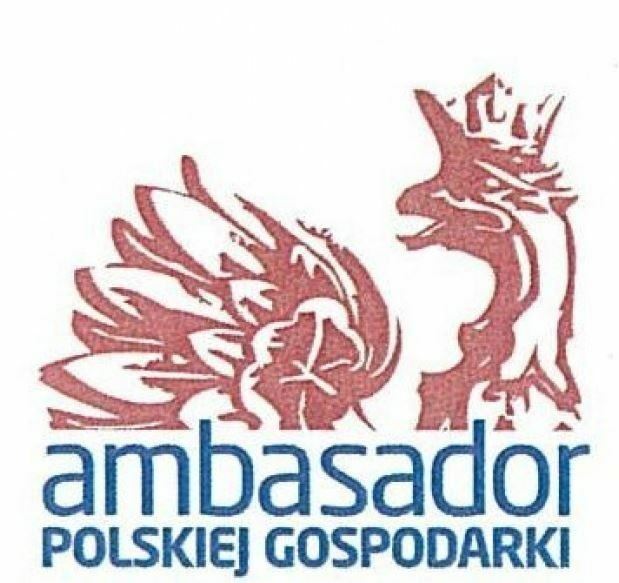 On 28th of September 2016 PCO S.A. was awarded with Ambasador Polskiej Gospodarki (Ambassador of the Polish Economy) title in Highest Quality cathegory, given by Business Centre Club to companies promoting Polish economy on the international market. During the 24th International Defence Industry Exhibition in Kielce PCO S.A. has received DEFENDER award for KLW-1R “ASTERIA“ thermal imaging camera for the Rosomak APC. 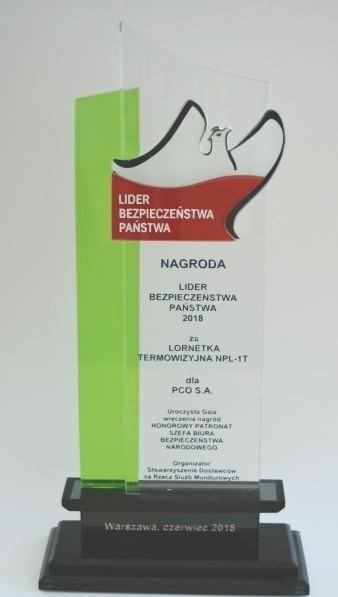 On 23rd of June 2016 PCO S.A. was given the main award in Leader of the state’s security contest for KLW-1 “ASTERIA“ thgermal imaging camera. Leader of the state’s security contest is organised by the Association of Suppliers of Uniform Services. 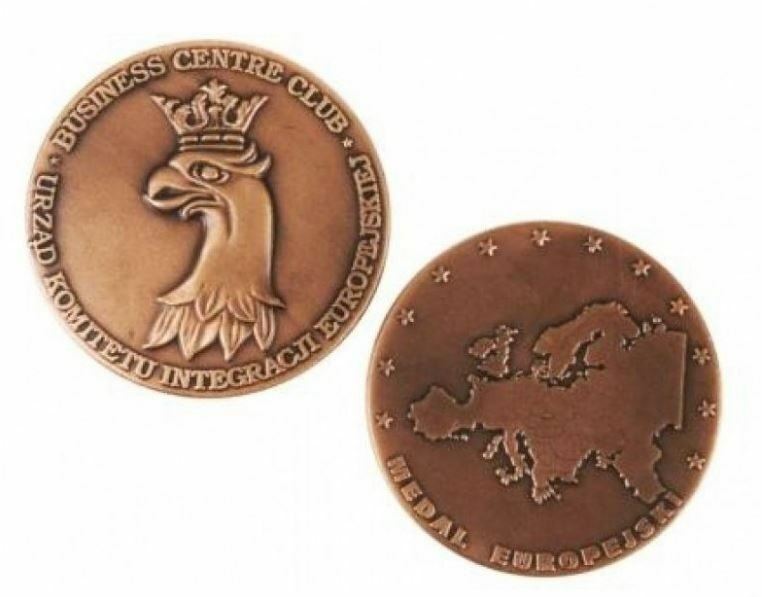 On 8th of June 2016 PCO S.A. has become a laureate of the 27th edition of the European Medal given by Business Centre Club. PCO S.A. was awarded for KLW-1 thermal imaging camera. European Medal is given for products and services that fit European standards. Nominated serviece or product has do adhere to legal norms, have licenses, patents etc. Also dynamics of the Company, awards and certificatse are taken under consideration. 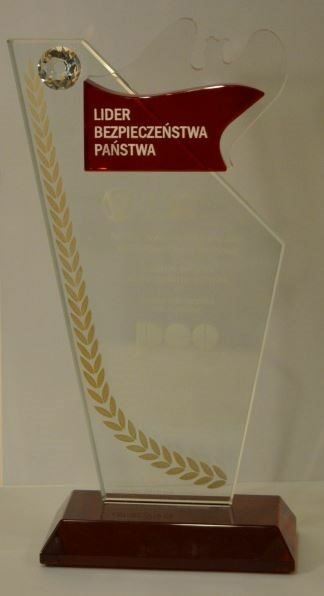 On 2nd of March 2016 PCO S.A. has received 1st stage Award in “Industry“ category for project of the KLW-1 “ASTERIA“ thermal imaging camera in “Innovations for the Polish Armed Forces“ competition organised by Inspectorate of Implementation of Innovative Defence Technologies in cooperation with Military University of Technology. “Innovations for the Polish Armed Forces“ competition is aimed to award best innovative technological solutions in defence industry. Competition was held under honorary patronage of the Secretary of State in the Ministry of Defence. 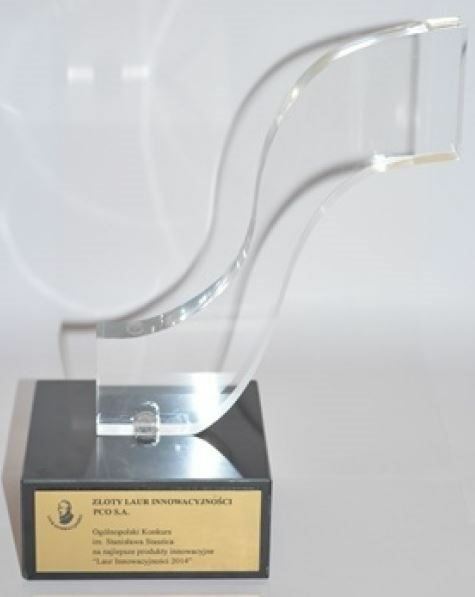 On 23rd of January 2015, PCO S.A. has received 5th Diamond for the Golden Statuette of the Leader of Polish Business, a prize given by the Business Centre Club. PCO S.A. is a company with over 40 years of experience. It is the biggest Polish producer of optoelectronic devices with use of night vision, thermal imaging and laser technology.